Are Police Getting Out of Control? 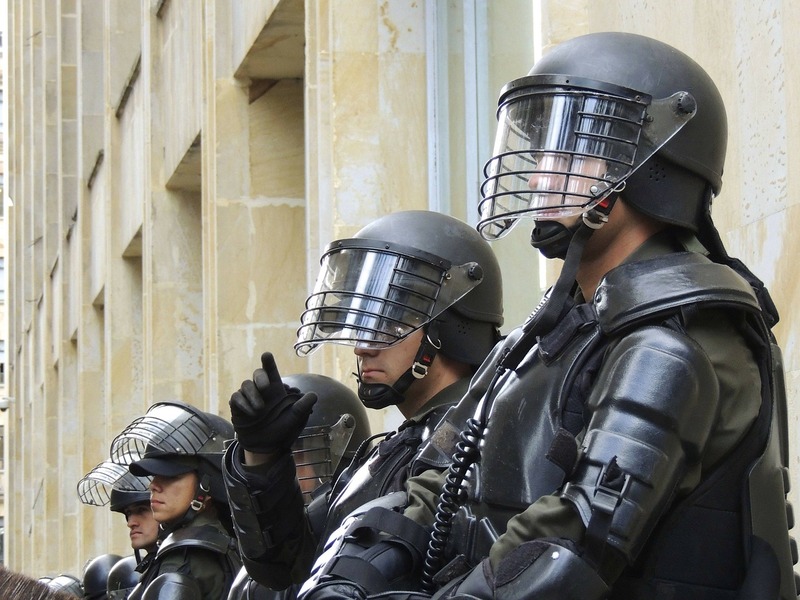 While the entire country is debating whether police are getting out of control (which inevitably leads to arguments over whether the police should be outfitted like the military is), the question still looms large: are police getting out of control? There’s no easy answer to that. If you read the news, you’ll find all kinds of “bad cop” stories. There are bad cops in every department, but it seems that all you hear about are those bad cops. There are Facebook pages dedicated to police-bashing and hashtags on Twitter that highlight all the bad things that some police officers are doing. But what you don’t hear about are the good things police do. Maybe that’s because “Cop Helps Senior” or “Officer Returns Lost Pit Bull to Owner” aren’t clickable headlines that will encourage people to share on social media, or maybe it’s because the news stations have discovered that they engage more viewers if they use shocking headlines that paint police in a less-than-favorable light. The truth is, though, that there are far more good cops than there are bad cops. Most police are the good guys. You have this cop, who fixes a kid’s bike in front of a Target store, and this cop, who took the time to make a toddler’s day (it turns out that kids aren’t too unhappy about getting a ticket). More seriously, you have the officer who went beyond the call of duty to help a single dad and, in the process, probably helped change the course of his future. Another pulled an unconscious man from a burning car, and the officer who helped a toddler at the crash scene where her father was killed. Sandra Bland’s recent death has the country even more divided over whether we should trust or mistrust the police – and it’s gone so far that the Texas police department that arrested Bland has released video in response to accusations that they took her mug shot after she was already dead. What do you think – are we still able to trust police to “protect and serve,” or are the majority of them untrustworthy? I’d love to hear what you think, so let me know on Facebook. I think these are great stories of the police doing the right thing! We rarely get a chance to hear about/read about the good ones – but we should.